Earlier today at the #MicrosoftEDU Event we got our first look at the Surface Laptop. The reveal came quite late in the presentation after the launch and discussion about Microsoft Windows 10 S and lots of other Student / Education themed chat encompassing Windows in classrooms, for collaboration, and in mixed reality experiences. 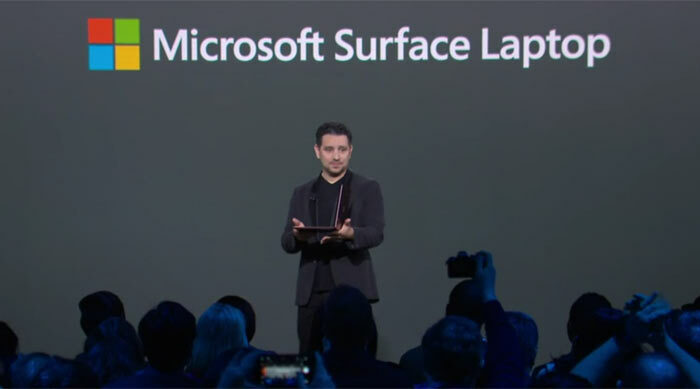 Microsoft's Panos Panay came on stage to reveal the Surface Laptop. He said that there was a compelling need for such a device and that a Surface Laptop would be capable of good service for the whole of a student's education - from freshers week through to graduation. 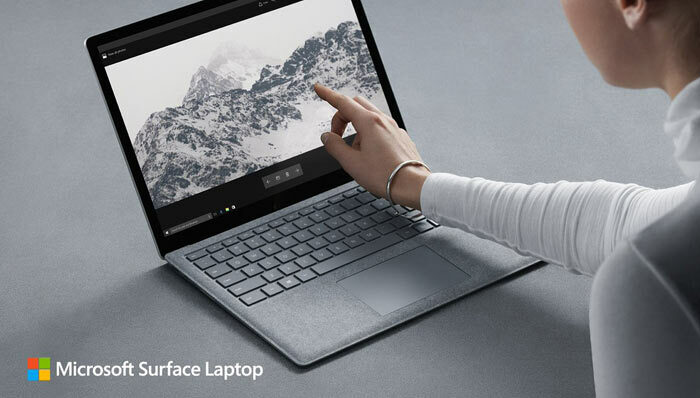 Before Panay started reeling off specs he talked about the overall feel of the Surface Laptop; how it is "meticulously crafted", with perfect lines, provides a wonderful 'first read', and only needs to be touched to be understood. Upon opening the device users are presented with glass, a choice of premium fabric, and the keyboard - minimal and elegant. 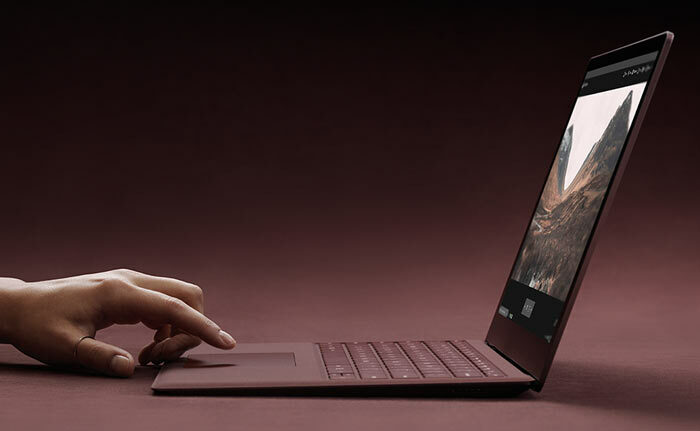 Panay said that the philosophy behind the Surface Laptop was for moving away from things that feel like machines to something more personal. Already from the above you will know that Microsoft's Surface Laptop for students isn't going to combat the penetration of Chromebooks into education, it will be leaving that market to hardware partners. The touted entry level price is $999. It will be pre-orderable today and will ship from 15th June onwards. 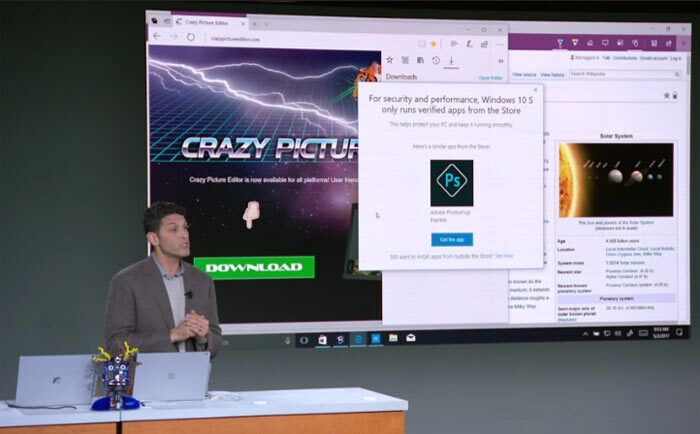 As mentioned in the intro, Microsoft also dedicated a lot of the presentation to Windows 10 S. This is the basically the 'Windows 10 Cloud' we heard about previously, an OS which restricts app usage to Windows Store apps only. That'll be £999 in the UK then. I do like this a lot - it's veeerry pretty, but I'm not sure what's going on with Microsoft's branding at the moment. Surface Book? Surface Laptop? Surface Pro? I understand the hardware differences (sort of), but it still doesn't make an awful lot of sense. It's on my shopping list already..
My first thought is wow, that's expensive then you think it's the same price as an Air, that's not that bad, lighter longer battery, more modern GPU/CPU but starting at only 4gb of RAM is silly. Is this really what peole want from computing? Will I be buying one, nope / will I be buying one 3 years from now when they are cheap , nope/ will I ever buy anything this portable and useless, nope.